Data collection holds an essential part in dictating the future of health sciences and public health, as the compilation of statistics allows researchers and medical practitioners to monitor trends in health status, identify health problems, and evaluate the impact of health policies and programs. 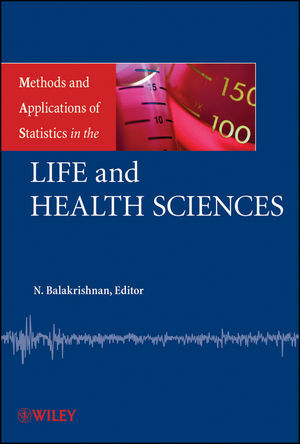 Methods and Applications of Statistics in the Life and Health Sciences serves as a single, one-of-a-kind resource on the wide range of statistical methods, techniques, and applications that are applied in modern life and health sciences in research. 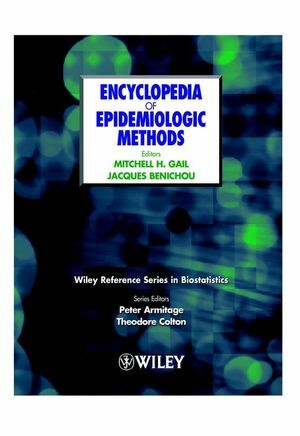 Specially designed to present encyclopedic content in an accessible and self-contained format, this book outlines thorough coverage of the underlying theory and standard applications to research in related disciplines such as biology, epidemiology, clinical trials, and public health. Statistical methods are explored and applied to population growth, disease detection and treatment, genetic and genomic research, drug development, clinical trials, screening and prevention, and the assessment of rehabilitation, recovery, and quality of life. These topics are explored in contributions written by more than 100 leading academics, researchers, and practitioners who utilize various statistical practices, such as election bias, survival analysis, missing data techniques, and cluster analysis for handling the wide array of modern issues in the life and health sciences. With its combination of traditional methodology and newly developed research, Methods and Applications of Statistics in the Life and Health Sciences has everything students, academics, and researchers in the life and health sciences need to build and apply their knowledge of statistical methods and applications. N. Balakrishnan, PhD, is Professor in the Department of Mathematics and Statistics at McMaster University, Canada. Dr. Balakrishnan is coeditor of Wiley's Encyclopedia of Statistical Sciences, Second Edition and also serves as Editor in Chief of Communications in Statistics. A Fellow of the American Statistical Association and the Institute of Mathematical Statistics, Dr. Balakrishnan is the coauthor of Precedence-Type Tests and Applications and A Primer on Statistical Distributions, both published by Wiley. 1 Aalen’s Additive Risk Model. 9 Centralized Genomic Control: A Simple Approach Correcting for Population Structures in Case-Control Association Studies. 10 Change Point Methods in Genetics. 15 Comparisons with a Control. 19 Cox’s Proportional Hazards Model. 21 Design and Analysis for Repeated Measurements. 27 FDA Statistical Programs: An Overview. 28 FDA Statistical Programs: Human Drugs. 31 Framingham: An Evolving Longitudinal Study. 33 Group-Sequential Methods in Biomedical Research. 35 Grouped Data in Survival Analysis. 37 Image Restoration and Reconstruction. 38 Imputation and Multiple Imputation. 47 Missing Data: Sensitivity Analysis. 48 Multiple Testing in Clinical Trials. 52 One- and Two-Armed Bandit Problems. 55 Planning and Analysis of Group-Randomized Trials. 56 Predicting Preclinical Disease Using the Mixed-Effects Regression Model. 57 Predicting Random Effects in Group-Randomized Trials. 58 Probabilistic and Statistical Models for Conception. 61 Quality Assessment for Clinical Trials. 65 Sample Size Determination for Clinical Trials. 67 Semiparametric Analysis of Competing-Risk Data. 68 Size and Shape Analysis. 70 Statistical Analysis of DNA Microarray Data. 72 Statistical Methods in Bioassay. 73 Statistical Modeling of Human Fecundity. 74 Statistical Quality of Life. 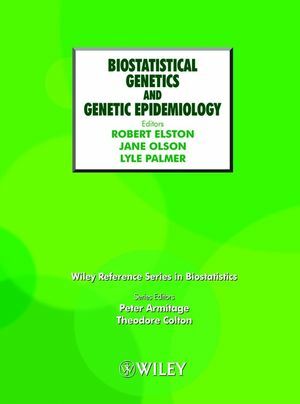 77 Statistics in Evolutionary Genetics. 78 Statistics in Forensic Science. 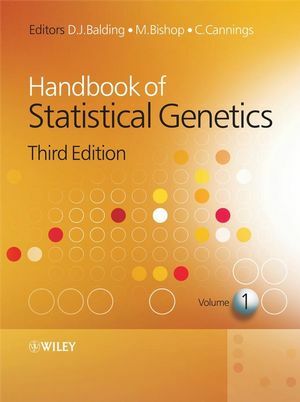 79 Statistics in Human Genetics I. 80 Statistics in Human Genetics II. 81 Statistics in Medical Diagnosis. 83 Statistics in the Pharmaceutical Industry. 84 Statistics in Spatial Epidemiology.